So, no St. Patty’s crafts and creative ideas for this year. But we are reading some fun picture books to celebrate the holiday! St. Patrick’s Day in the Morning – A little guy wants to march in the St. Patrick’s Day parade and tries to prove that he’s big enough to join in. This inspired my kids to create a parade. Save me from the drums! 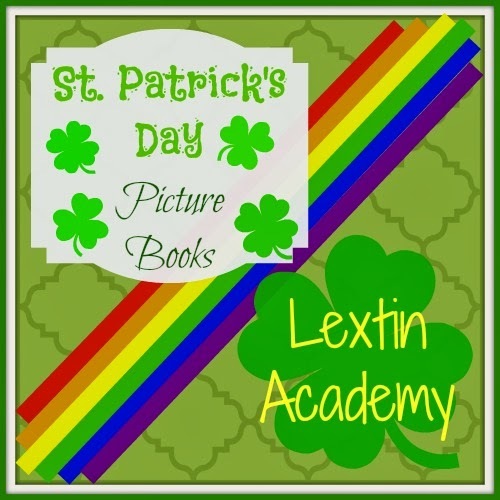 St. Patrick’s Day – This is our info book with details about how St. Patty’s Day is celebrated and all the traditional symbols. I now know what a shillelagh is! Jamie O’Rourke and the Big Potato – Here’s the story of one lazy farmer who finds a leprechaun and instead of a pot of gold, ends of up with a giant potato. The Leprechaun’s Gold – Who’s the better harpist? One harpist tries some trickery to win but a clever little leprechaun steps in. That’s What Leprechaun’s Do – This has been our favorite for several years. It’s the tale of some leprechauns and the trail of mischief they leave in their wake as they go to bury their gold.